XXVI edition of the International Animated Film Workshop will be held from 7th to 16th September. The practical part of the workshop will take place in the picturesque village of Lanckorona (approx. 25 km from Krakow). Some part of the workshop events will be held in Krakow. Deadline for submissions is 22th June. During International Animated Film Workshop in Krakow/Lanckorona animators will work on concepts for their films and implement them under the guidance of Polish and foreign film experts. The workshops are directed mainly to artists and students preparing to start their careers. During the Workshop they will be working on their debut films, producing film excerpts and developing their professional skills and knowledge of the latest film technologies. 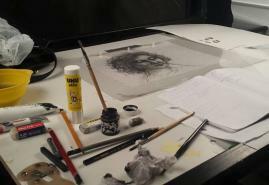 The workshop is also intended for artists dealing with other mediums: painting, sculpture, graphics, etc. The workshops support the artistic and professional development and establish friendly environment for preparation and implementation of projects as well as initiate production and distribution. Many videos initiated at the Workshop are presented and awarded at different international film festivals. 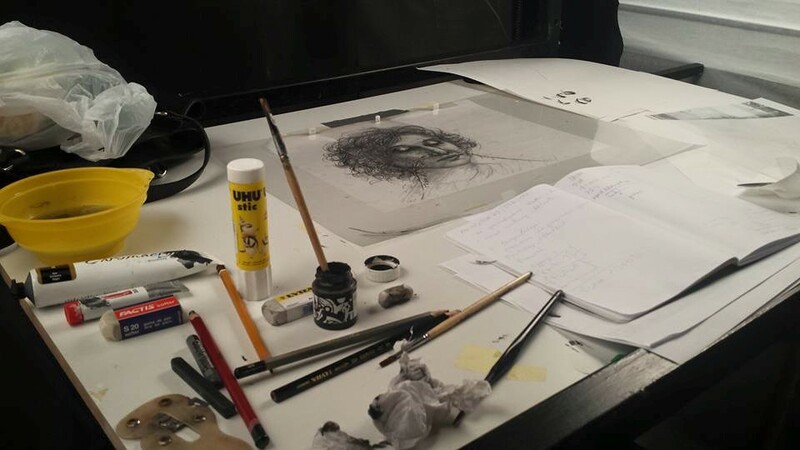 Since the very beginning workshops are conducted by Jerzy Kucia – animation filmmaker, winner of numerous international awards and author of many initiatives in this field. There already have been 25 editions of the Workshop, which was attended by participants from over one hundred countries. Otto Alder, Gil Alkabetz, Ernst Ansorge, Giannalberto Bendazzi, Frank Braun, Mariola Brillowska, Suzanne Buchan, Andrzej Chrzanowski, Oksana Czerkasowa, Jean Marie Demeyer, Borivoj Dovnikovic, Piotr Dumała, Paul Driessen, André Eckardt, David Ehrlich, Hedda Gehm, Witold Giersz, Marcin Giżycki, Andreas Hykade Piotr Kamler, Mirosław Kijowicz, Ralf Kukula, Anri Kulev, Gillian Lacey, Caroline Leaf, Jan Lenica, Claude Luyet, Josko Marusic, Andrzej Orzechowski, Christine Panushka, Izabela Plucińska, Bretislav Pojar, Jonas Raeber, Nadja Rademacher, Marjut Rimminen, Otto Sacher, Marek Serafiński, Nicole Salomon, Sabine Scholze, Georges Schwizgebel, Raoul Servais, Hubert Sielecki, Roze Stiebra, Daniel Szczechura, Gabor T. Steisinger, Agnieszka Taborska, Zbigniew Żmudzki. For last year edition were invited the following guests, filmmakers and lecturers: Otto Alder, Jerzy Kalina, Anzhelika Dementyeva. Nadja Rademacher, Marcin Giżycki, Agnieszka Taborska, Zdzisław Kudła. - participation in the film projections, retrospective screenings and exhibitions – there will be hardware with software and photographic sets/camera recording stations to produce films for participants to use and also basic materials for animated films production. Participation in the Workshop is free but participants must pay himself/herself the cost of travel, accommodation and meals. The condition of participation is being present during the entire duration of the Workshop. The workshops are conducted in Polish and English. The list of participants of the Workshop will be established through a competition: from the submitted applications the most interesting and promising projects will be selected. If you are interested in participating in the XXVI edition of the International Animated Film Workshop, please send the registration form by e-mail: workshopkrakow2018@interia.pl Form is available here. The application deadline 22nd June 2018. A list of participants will be announced on 30th June 2018. The workshops take place from 7th to 16th September 2018.